Ukrainian Orthodox Church of the USA - Message of the Synaxis of the Heads of the Orthodox Churches! In the Name of the Father, and of the Son and of the Holy Spirit! 1. 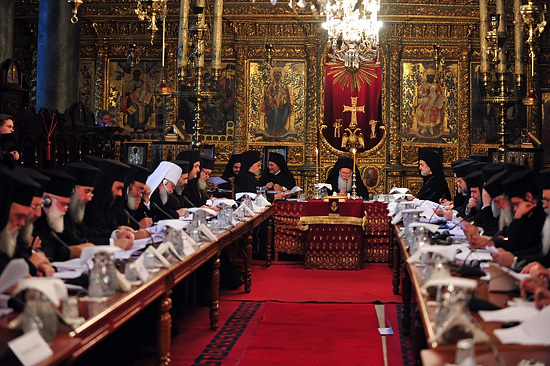 Through the Grace of God, the Primates and the Representatives of the local Orthodox Churches have gathered from 10-12 October, 2008, in the Phanar, at the invitation and under the presidency of the First among us, Ecumenical Patriarch Bartholomew, on the occasion of the proclamation of this year as the year of Saint Paul, Apostle to the Nations. We have deliberated in fraternal love on the issues that concern the Orthodox Church, and participating in the festivities of this occasion, we celebrated together the Holy Eucharist in the Most Sacred Patriarchal Church of the Ecumenical Throne, today, 12 October 2008, Sunday of the Holy Fathers of the 7th Ecumenical Council of Nicaea. During these days, we have been strengthened by the truth of the gifts of divine providence received by the Apostle to the Nations, which rendered him a superb “chosen vessel” (Acts 9:15) of God and a shining model of apostolic ministry for the body of the Church. The entire Orthodox Church is honoring this Apostle during the current year of the Lord, promoting him as an example to its faithful for a contemporary witness of our faith to “those near and those afar” (Eph. 2:17). 2. 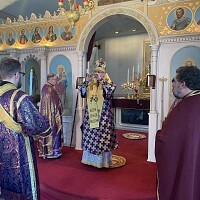 The Orthodox Church, having the understanding of the authentic interpretation of the teaching of the Apostle to the Nations, in both peaceful and difficult times of its two-thousand year historical course, can and must promote to the contemporary world the teaching not only regarding the restoration in Christ of the unity of the entire human race, but also regarding the universality of His work of redemption, through which all the divisions of the world are overcome and the common nature of all human beings is affirmed. Nevertheless, the faithful promotion of this message of redemption also presupposes overcoming the internal conflicts of the Orthodox Church through the surrendering of nationalistic, ethnic and ideological extremes of the past. For only in this way will the word of Orthodoxy have a necessary impact on the contemporary world. 3. Inspired by the teaching and the work of the Apostle Paul, we underscore first and foremost, the importance of the duty of Mission for the life of the Church, and in particular for the ministry of us all, in accordance with the final commandment of the Lord: “you will be my witnesses not only in Jerusalem, but throughout Judaea and Samaria, and to the uttermost parts of the earth” (Acts 1:8). The evangelization of God’s people, but also of those who do not believe in Christ, constitutes the supreme duty of the Church. This duty must not be fulfilled in an aggressive manner, or by various forms of proselytism, but with love, humility and respect for the identity of each individual and the cultural particularity of each people. 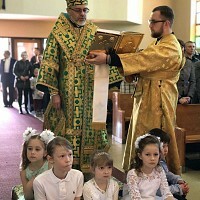 All Orthodox Churches must contribute to this missionary effort, respecting the canonical order. 4. The Church of Christ today fulfills it ministry in a rapidly developing world, which has now become interconnected through means of communication and the development of means of transportation and technology. At the same time however, the extent of alienation, divisions and conflicts is also increasing. Christians emphasize that the source of this condition is the alienation of man from God. No change in social structures or of rules of behavior suffices to heal this condition. The Church consistently points out that sin can only be conquered through the cooperation of God and humankind. 5. Under such circumstances, the contemporary witness of Orthodoxy for the ever-increasing problems of humanity and of the world becomes imperative, not only in order to point out their causes, but also in order to directly confront the tragic consequences that follow. The various nationalistic, ethnic, ideological and religious contrasts continuously nurture dangerous confusion, not only in regard to the unquestionable ontological unity of the human race, but also in regard to man’s relationship to sacred creation. The sacredness of the human person is constrained to partial claims for the “individual”, whereas his relationship toward the rest of sacred creation is subjected to his arbitrary use or abuse of it. These divisions of the world introduce an unjust inequality in the participation of individuals, or even peoples in the goods of Creation; they deprive billions of people of basic goods and lead to the misery for the human person; they cause mass population migration, kindle nationalistic, religious and social discrimination and conflict, threatening traditional internal societal coherence. These consequences are still more abhorrent because they are inextricably linked with the destruction of the natural environment and the entire ecosystem. 6. Orthodox Christians share responsibility for the contemporary crisis of this planet with other people, whether they are people of faith or not, because they have tolerated and indiscriminately compromised on extreme human choices, without credibly challenging these choices with the word of faith. Therefore, they also have a major obligation to contribute to overcoming the divisions of the world. The Christian teaching about the ontological unity between the human race and sacred creation, as expressed by the entire mystery of the redemptive work in Christ, constitutes the foundation for interpretation of man’s relationship with God and the world. 7. Efforts to distance religion from societal life constitute the common tendency of many modern states. The principle of a secular state can be preserved; however, it is unacceptable to interpret this principle as a radical marginalization of religion from all spheres of public life. 8. The gap between rich and poor is growing dramatically due to the financial crisis, usually the result of manic profiteering by economic factors and corrupt financial activity, which, by lacking an anthropological dimension and sensitivity, does not ultimately serve the real needs of mankind. A viable economy is that which combines efficacy with justice and social solidarity. 9. With regard to the issue of the relationship of Christian faith to the natural sciences, the Orthodox Church has avoided pursuing ownership of developing scientific research and assuming a position on every scientific question. From the Orthodox viewpoint, freedom of research constitutes a God-given gift to humanity. While affirming this however, at the same time Orthodoxy underscores the dangers concealed in certain scientific achievements, the limits of scientific knowledge, and the existence of another “knowledge” that does not immediately fall with the scope of science. This other “knowledge” proves in many ways to be necessary for establishing the proper boundaries of freedom, and utilizing the fruits of science by the restraint of egocentrism and respect for the value of the human person. 10. The Orthodox Church believes that technological and economic progress should not lead to the destruction of the environment and the exhaustion of natural resources. Greed to satisfy material desires leads to the impoverishment of the human soul and the environment. We must not forget that the natural riches of the earth are not only man’s property, but primarily God’s creation: “The earth is the Lord’s and the fullness thereof, the world and all who dwell therein” (Ps.23:1). We ought to remember that not only today’s generation, but also future generations are entitled to have a right to the resources of nature, which the Creator has granted us. 11. In firmly supporting every peaceful effort for just solutions to conflicts that arise, we salute the position of the Churches of Russia and Georgia and their fraternal cooperation during the period of recent military conflict. 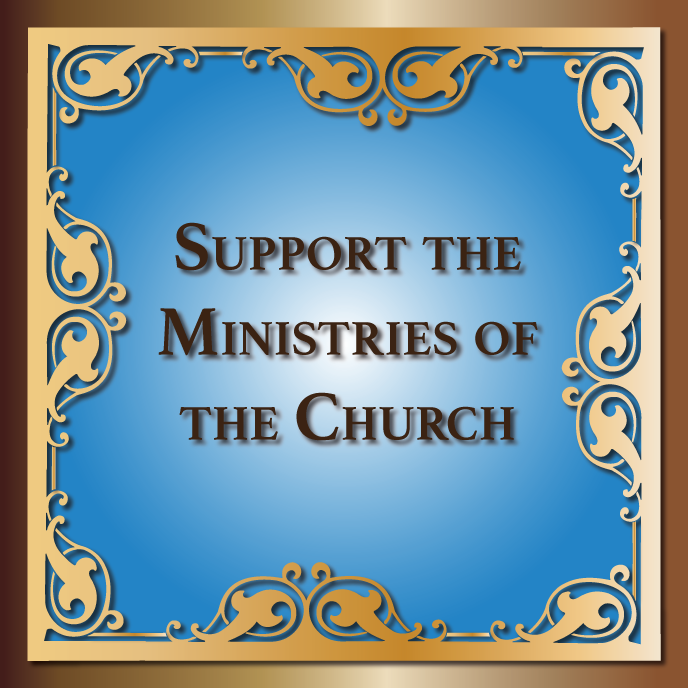 In this way, the two Churches fulfilled the obligation to the ministry of reconciliation. We hope that their mutual ecclesiastical efforts will contribute to overcoming the tragic consequences of military operations and the swift reconcilement of the peoples. 12. In the ever-growing confusion of our times, the institution of family and marriage faces a crisis. In a spirit of understanding the new complex social condition, the Church is obliged to find ways to spiritually support and generally encourage the young and large families. We turn our thoughts especially to the young people, in order to call them to actively participate both in the sacramental and sanctifying life, as well as in the missionary and social work of the Church, transferring their problems and their expectations to the Church, since they constitute not only its future, but also its present. i) our unswerving position and obligation to safeguard the unity of the Orthodox Church in “the faith once for all delivered to the saints” (Jude 3), the faith of our Fathers, in the common Divine Eucharist and in the faithful observance of the canonical system of Church governance by settling any problems that arise from time to time in relations among us with a spirit of love and peace. ii) our desire for the swift healing of every canonical anomaly that has arisen from historical circumstances and pastoral requirements, such as in the so-called Orthodox Diaspora, with a view to overcoming every possible influence that is foreign to Orthodox ecclesiology. 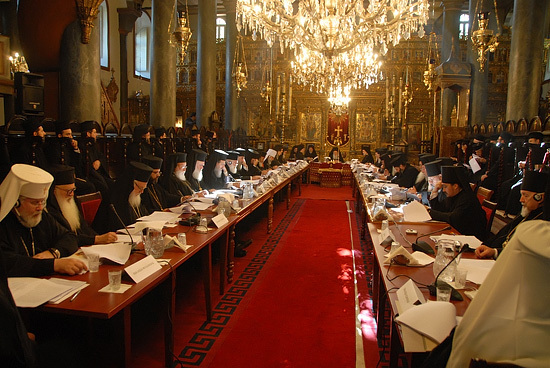 In this respect we welcome the proposal by the Ecumenical Patriarchate to convene Panorthodox Consultations within the coming year 2009 on this subject, as well as for the continuation of preparations for the Holy and Great Council. 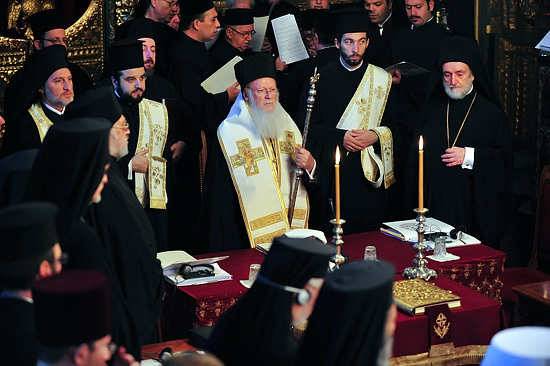 In accordance with the standing order and practice of the Panorthodox Consultations in Rhodes, it will invite all Autocephalous Churches. iii) our desire to continue, despite any difficulties, the theological dialogues with other Christians, as well as the interreligious dialogues, especially with Judaism and Islam, given that dialogue constitutes the only way of solving differences among people, especially in a time like today, when every kind of division, including those in the name of religion, threaten people’s peace and unity. iv) our support for the initiatives by the Ecumenical Patriarchate, as well as by other Orthodox Churches, for the protection of the natural environment. Today’s ecological crisis, which is due to both spiritual and ethical reasons, renders imperative the obligation of the Church to contribute through the spiritual means at her disposal, to the protection of God’s creation from the consequences of human greed. In this regard, we reaffirm the designation of the 1st of September, the first day of the Ecclesiastical Year, as the day of special prayers for the protection of God’ creation, and we support the introduction of the subject of the natural environment in the catechetical, homiletic, and general pastoral activity of our Churches, as this is already the case in some. v) the decision to proceed with the necessary actions, in order to form an Inter-Orthodox Committee to study issues of bioethics, on which the world also awaits the position of Orthodoxy. Addressing these things to the Orthodox people throughout the world and to the entire oikoumene, we pray “again and again” that peace, justice, and God’s love may finally prevail in people’s lives. “Glory be to him whose power, working in us, can do infinitely more than we can ask or imagine, glory be to him in the Church and in Christ Jesus” (Eph. 3:20-21). Amen. In the Phanar, 12th October 2008. UPDATED: Enthronement of His Grace Bishop Daniel as a Ruling Hierarch of the Western Eparchy of the UOC of the USA!